So exciting! And I’m not exactly talking about the auto race on ESPN today. 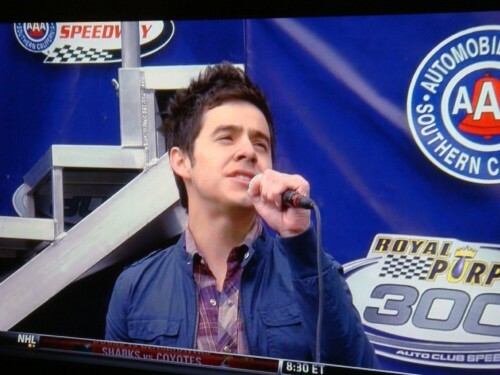 I’m excited to hear David Archuleta perform the National Anthem at the NASCAR Royal Purple 300 Race. I took these screen captures of his performance. 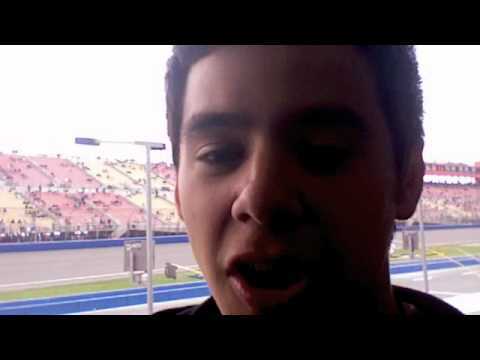 Just before singing, David took the time to send his fans a video blog from the Auto Club Speedway in Fontana. It was great seeing David on my TV again. And, he sounds just as good as ever! 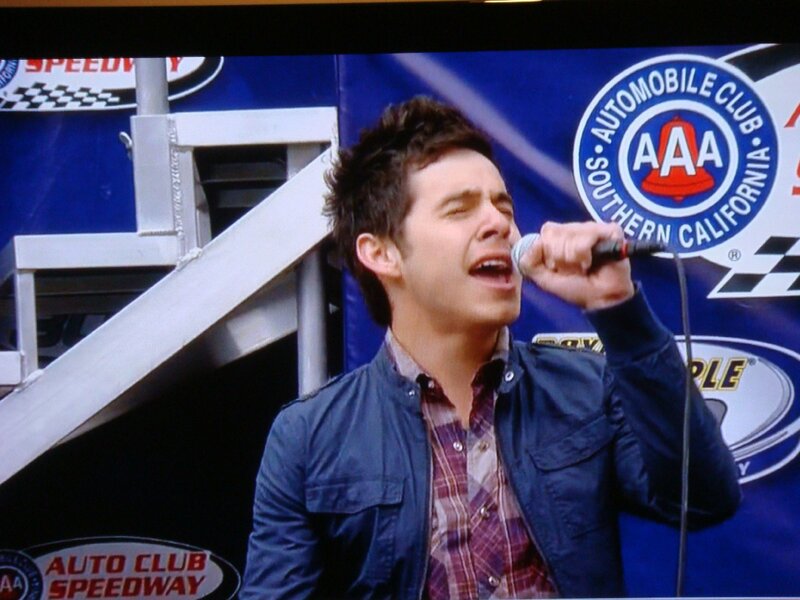 You can tell he’s really excited about being at the NASCAR event. 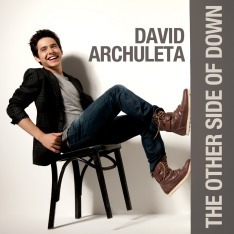 I’m hoping there will be another performance by David real soon. Oh, don’t you know Lyrix I pray every now and again for David to start being on TV more and more. Every time I see another young person that is there…that’s when I send up prayers for David. Thanks for posting!